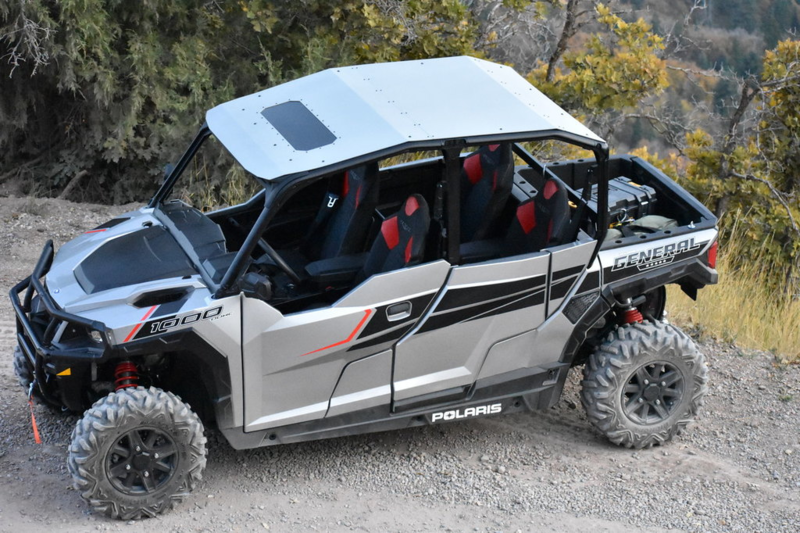 Moto Armor Aluminum Roof for Polaris General 4. 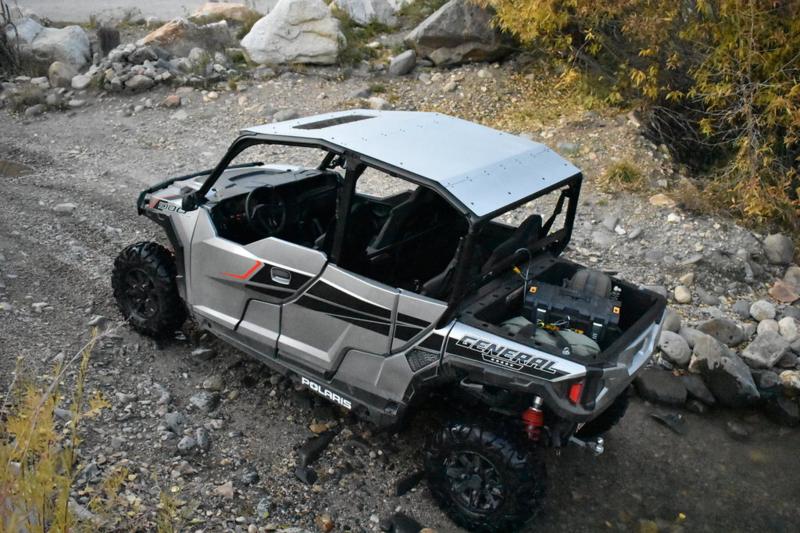 We offer the absolute best aluminum roof for the Polaris General Models. Our custom roof clamps position the roof on top of the cage instead of in the channel to offer a better look and better protection by eliminating the gutter affect from having the roof sit down in the cage. 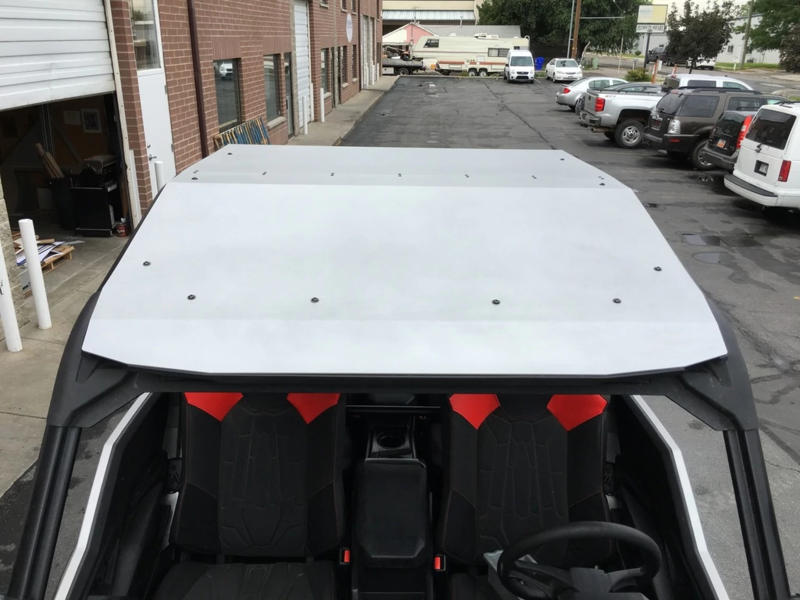 Our roofs cover from the front edge of the stock visor to the back of the cage. 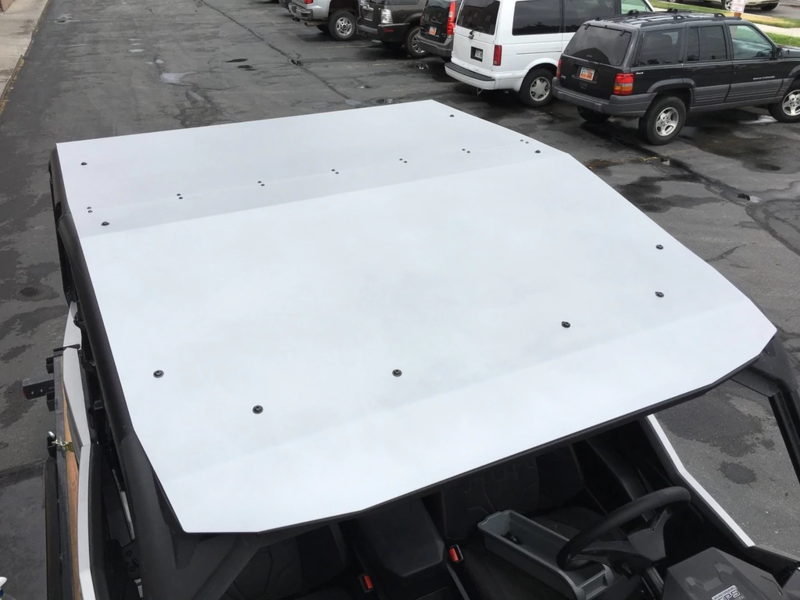 Our 3 piece design allows us to ship these roofs for much less than most. The joints are sealed and do not leak. Low profile design does not increase the height of cage more than 1/4"